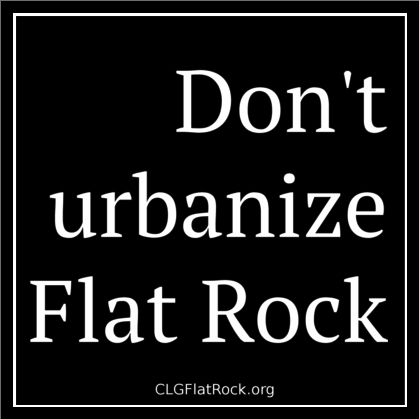 On December 13, 2018, the Flat Rock village council voted to approve their proposed changes to the village’s sign control ordinance (that revised ordinance, ordinance 102, is not yet on the village’s website but CLG has uploaded a draft here). What does this mean for you if you have a sign on your property? Once the village decides you are in violation of their ordinance, the village administrator must send a notice of violation through the U.S. Postal Service to the property owner as their address appears in the Henderson County tax records. The property owner will then have 30 days from the mailing of the notice to comply. Note that the 30 days starts the day the notice is mailed, not from the day you receive the notice. If you don’t comply with the notice after 30 days, then the village sign enforcement officer can issue you a civil citation with fines attached. CLG would ask that if you have a sign on your property and receive a violation notice from the village, please let us know and send us a copy of the letter you received either by regular mail (P.O. Box 1675, Flat Rock, NC 28731) or email (clgflatrock@gmail.com). How about the signage on N. Highland Lake Road? Huge eyesores advertising condos that don’t seem to bother the “powers-to-be”. Collusion with political person? Probably not with the Russians, but who knows?